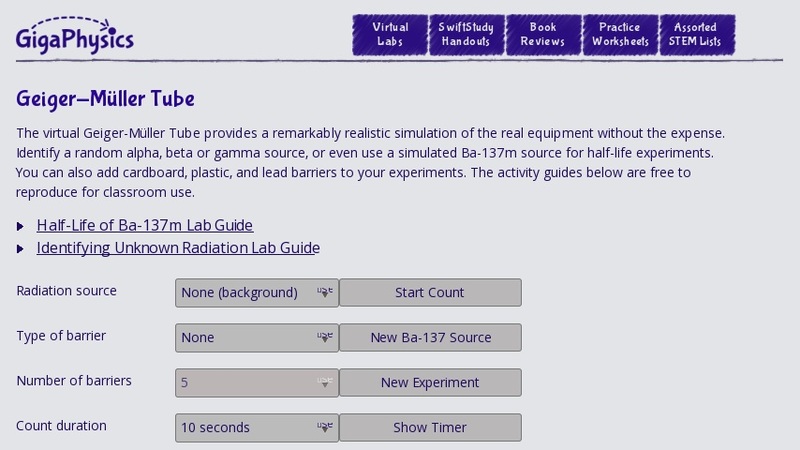 This virtual lab simulates the traditional GM tube labs, complete with background radiation. In one lab, students can explore how different barriers affect alpha, beta, and gamma radiation, then apply their knowledge to identify an unknown source. In the other, students measure the half-life of a simulated Ba-137m source. Printable lab guides are included for both activities.